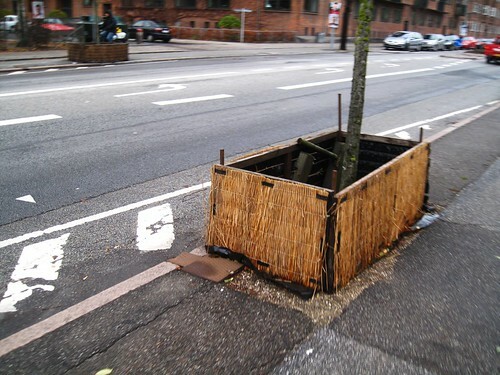 In the winter in Copenhagen, protective shields are placed around all the roadside trees in order to protect them from cars splashing salty water and slush. It's one of those tiny details that most people don't think about and yet which would appear to be an expensive process - putting them up and taking them down in the spring. All to protect the trees from salt. I like the idea. Perhaps we could begin a 'splash tax' for motorists to pay for it.